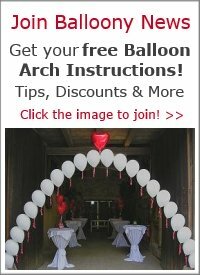 Can you use part air/part helium in balloon clouds? I was just wondering, as to save on helium, if in a balloon cloud I could use some balloons filled with air? And if its possible, how many needed to be filled with helium (out of 9 balloons) to make it float well? Comments for Can you use part air/part helium in balloon clouds? Thoughts for using less Helium. 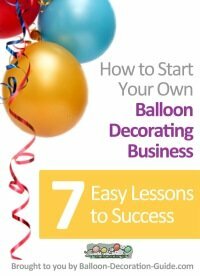 The quick answer is: Yes, it is possible to fill some balloons with air and still have the Balloon Cloud float. But then... what are the consequences? 1. The less Helium you use in the Balloon Cloud as a whole, the less time it will continue to float. 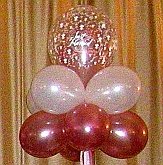 2.The less Helium you use, the less lifting ability the Balloon Cloud has to carry any other add-ons (ribbon or tulle). Hi-float significantly increases float time which adds value to the sculpture. A sculpture that will float 4-days (treated) is perceived to have more value than one that will only float 12-24 hours (untreated). So, Hi-float can easily pay for itself if the client can benefit from and is willing to pay for the extended float time. Also, you can have more flexibility in when and where you create the sculptures. 3. In a nine balloon cloud, inflate a couple of the balloons with air, the rest with 100% Helium (still, Hi-float *all* of the balloons, air and Helium filled). This, though, forces you to make a hard choice. Dividing the whole sculpture into nine equal segments, the balloons, means that each balloon represents about 11.11% of the whole sculpture. 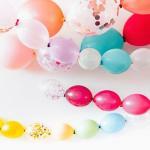 If you inflate 3 balloons with air, the whole sculpture attains about a 67% Helium / 33% air ratio. If you inflate 4 balloons with air, the whole sculpture attains about a 56% Helium / 44% air ratio (which *may* be too much of a Helium reduction). Another small problem is, depending on where you place the air filled balloons in the sculpture, the whole sculpture may float a little lopsided unless you can find the right balance, which may take extra time and fiddling. So, yes, you can fill some balloons with air to save on Helium and still have the Balloon Cloud float but, it may not be the best solution. "You can... but I wouldn't. It drastically kills float time on 12" balloons. They only float about 16 hrs anyway, so now for every one thats floating it is also holding another which will mean it will float for less time. 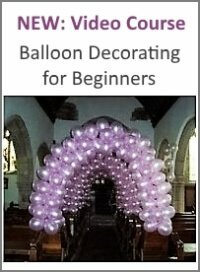 The easy way to do this is to use an inflator that allows you to put air in with the helium but these are expensive and only a professional decorator would have them..."